Hey my name is Anisah. I love caring for the elderly and want to help your family any way I can. Please contact me if you are interested.Hey my name is Anisah. I love caring for the elderly and want to help your family any way I can. Please contact me if you are interested.Hey my name is Anisah. I love caring for the elderly and want to help your family any way I can. Please contact me if you are interested. Looking for elderly care in St. Petersburg, Florida? 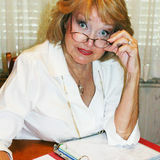 Need a qualified St. Petersburg home care provider? Do you find yourself asking “How can I find experienced private senior care near me?” Your search ends here.